The Transcon Line Duty Uniform Pant is where durability meets polished. 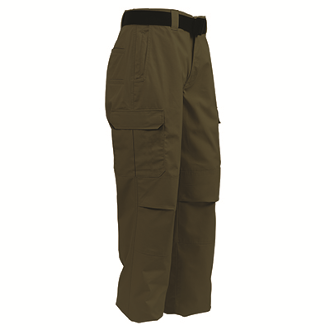 This poly/cotton/ripstop blend offers a professional appearance with a more tactical design that includes six pocket styling for additional storage options and reinforced knees articulated for range of motion. Additional benefits include Elbeco’s signature Flex waistband, providing an additional 2″ stretch.